With drones from the beginning there has been a kind of technological determinism associated with the idea that since the United States possesses this relatively new technology it should use it. Facing the uncertainty of reelection, President Obama became so concerned about the lawlessness of his drone killings he sought hastily to codify the rules governing their use. What began in the Bush era as a means for targeting al Qaeda leaders hiding in remote areas has become a vast “amorphous” death machine targeting suspected “militants” in Yemen, Somalia, and Pakistan. Now we’ve learned that, in addition to “personality strikes” aimed at individuals deemed enemies of the United States, there are now what’s called “signature strikes” where any congregation of suspicious looking military-age men is open game. The Obama administration apparently views drones as the cheapest and easiest way to kill “militants” while keeping American casualties low to non-existent. This seeming techno-supremacy has the added political benefit of getting around a war-weary electorate. But future presidents might not quibble about using drones as judiciously as our current president claims to be, hence his rush to clarify the rules of engagement. But possessing new tools of warfare doesn’t mean they should be used. The U.S. has chemical weapons and an arsenal of hydrogen bombs but those technologies (sane people agree) should be left on the shelf. Drones are no different. We mustn’t allow global drone warfare to become the “new normal.” Sadly, the drone killings of U.S. citizens abroad might end up being one of President Obama’s most lasting legacies. We’ve become numbed to the death and destruction that U.S. military and CIA actions have ushered in since 9/11. These days the American people seem less capable of being shocked, which is why Fox News’s obsession with milking the assault on the U.S. consulate in Benghazi (and the “war on terror” generally) for partisan gain has gone nowhere. After years of invasion and occupation, aerial bombardment, and resistance taking the form of car bombs, suicide bombers, IEDs, and “green on blue” attacks killing countless innocent people the drones fit into this larger cycle of violence. 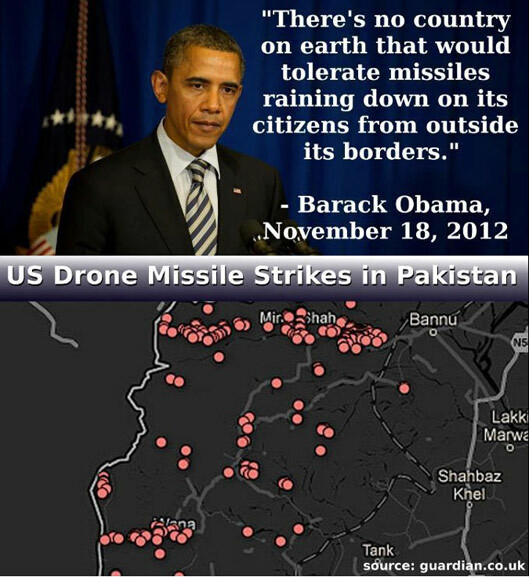 Drone warfare is a moral failure because it terrorizes entire populations and kills innocent people. We cannot leave it to the “experts” to weigh the potential human costs of these extrajudicial murders. Of late, high-ranking officials in charge of the drone wars appear to be too busy cavorting with their groupies to heed the wider moral and strategic implications of their actions. The drones represent a political failure too because they allow the president to usurp war powers that the U.S. Constitution explicitly places in the hands of Congress. And since the president and the CIA act as judge, jury, and executioner they also arrogate the powers of the judiciary. President Obama’s decision to kill American citizens with drones abroad without any semblance of “due process” has come after a long period of abuse of presidential powers to the exclusion of Congress and the courts that we’ve seen since the passage of the Patriot Act. The drones have further skewed what’s left of our system of “checks and balances” in favor of executive branch prerogatives. New presidential powers, once acquired, are never relinquished. Drone warfare, like the invasion of Iraq, is also a “strategic” failure because it undermines the U.S. standing in the world since most nations condemn it. It has unleashed a new wave of hatred toward the United States unrelated to the 9/11 attacks. It has created new enemies among peoples throughout the world with whom the American people have no real conflict. 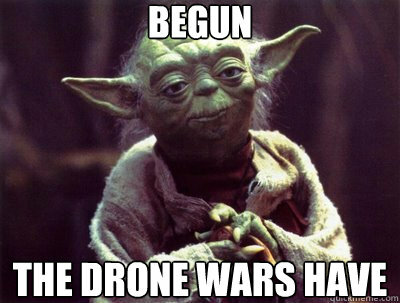 And the drone technology is proliferating with unpredictable consequences. Since the United States, a nation emulated by friends and foes alike, is the nation that has initiated this lawlessness — violating sovereign air space and killing citizens of other states without acknowledging international borders — a precedent has been set that will be difficult to live down. One thing we should have learned from al Qaeda is that terrorizing innocent people is no way to win hearts and minds. Using drones to kill your enemy means you’ve given up on political negotiation or ameliorating the social conditions that give rise to terrorism. It means you have embraced a military “solution” to local or regional conflicts. And since there is no long-term military solution to “terrorism,” the drones preclude seeking nonviolent alternatives. The use of drones only makes these wars more intractable. Among the “terrorists” (whoever they are) the backbenchers that assume leadership roles following targeted assassinations are usually less inclined to negotiate than their predecessors, which require more targeted killings, ad infinitum. The Israeli model of killing Palestinian leaders has only created more enemies of the State of Israel, and has not moved the ball one inch toward a settlement of the underlying land disputes at the heart of the conflict.